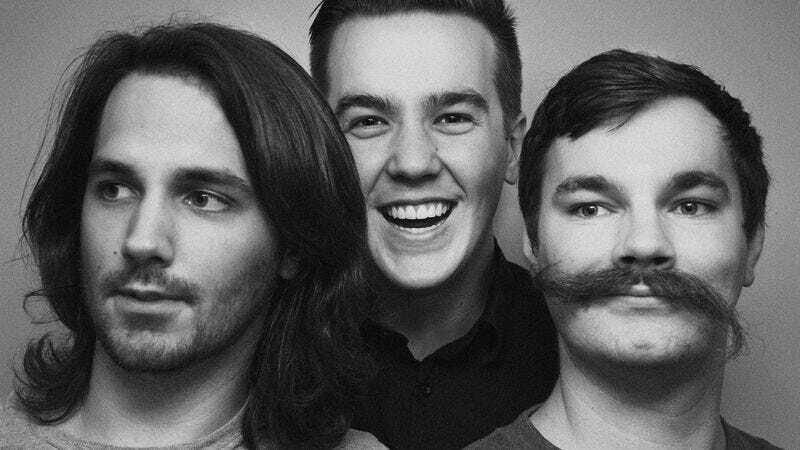 Minnesota’s Tiny Moving Parts is a band whose growth can be charted by how much its members have embraced subtlety. On its earliest releases, Tiny Moving Parts’ songs saw the trio writing the craziest, most technical riffs possible and placing them atop one another. For its third album, Celebrate, though, the band has toned down its madcap riffing and is offering up its most mature batch of songs yet. The A.V. Club is premiering “Common Cold,” a song that sees guitarist-vocalist Dylan Mattheisen joined by Conor Murphy of Foxing throughout the song’s back half, below. Mattheisen and Murphy play off of one another as if this type of vocal interplay came naturally to them, proving that Tiny Moving Parts may have become more restrained, but it hasn’t given up any of its grand ambitions. Celebrate will be released on May 20 via Triple Crowd Records and is available for pre-order now.